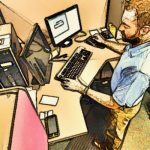 You know what feels most irritating if you are on the heavier side – to work in a cramped office chair that is excessively small for your body size. 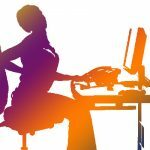 Prolonged sitting for long hours on a tight chair is fraught with health risks, such as poor circulation, incorrect posture issues, weakening of back muscles and many others. Therefore, it is important to find a chair that supports your generous dimensions and ample mass. 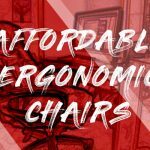 Getting a heavy-duty office chair that is a right fit for you is difficult, since you will usually find standard-sized office chairs in online stores and retail outlets. Luckily, manufacturers have been able to fill this vacuum and are making chairs keeping heavy people in mind. High weight limit: It should be sturdy enough to support the weight of people who are over 250 pounds (113 kilograms). It should be able to endure weights ranging from 300 pounds (136 kilograms) to 500 pounds (227 kilograms). High backrest: Since most overweight people are taller too, a large chair should have a high backrest. It should also have a wider range of seat-height adjustment. Adjustable: Overweight persons can only be comfortable in a big office chair, if they are able to adjust the chair for seating comfort. Thus, it should have adjustable recline angles, seat heights, seat depths and back heights. It should also have tilt locks and tension control. 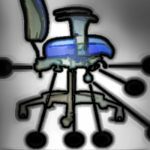 Extended usability: Large office chair should be able to bear heavy weights, even if used continuously, 24/7. The chair should also provide enough leeway for quick and easy adjustments, while sitting. Aesthetics: A heavy-duty office chair needs to look elegant and not stick out like a sore thumb in an office setting. For this, try to match the fabric and the shape of the chair with other standard chairs placed in your office. Solid construction: The chair should not sway from side to side because of your weight. Adjustable arms: The arms should be able to move up and down, as well as, slide inwards and outwards by turn of a knob. The arms should have soft PU pads for added cushioning. 360-degree swivel: The chair should have an easy 360-degree swivel. 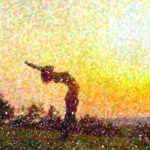 This will spare your bulky body the strain of reaching out. Extra wide seat: For a heavy body to move comfortably and freely between the armrests, choosing an extra wide seat will be a wise decision. The width of the sitting area, from side to side, should be around 24 inches (61 centimeters). Waterfall front seat edge: This type of ergonomic shape removes pressure from your lower legs and improves circulation. Contoured backrest: This provides you with a firm back support to make you rest comfortably. It also ensures you remain in the right position while working. 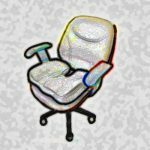 Adjustable lumbar support: If you have to sit for hours, the chair should have an inbuilt lumbar support. 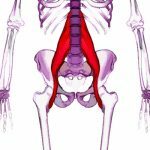 This minimizes fatigue and alleviates pressure on the spinal region of your body. 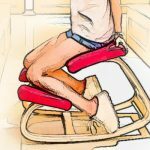 Thick seat: Your weight is going to put added pressure on the seat and if it is thin, it will soon become hard and uncomfortable for your backside. So, opt for a chair that offers at least four-inch thick seat that remains comfortable even if you sit for hours. Strong seat height adjusting mechanism: The chair should have a heavy-duty Class 4 gas lift cylinder to raise and lower the chair all the while supporting your weight in the chair. You can also go in for a one-touch pneumatic height adjuster that allows smooth elevation to the desired height. 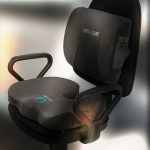 Tilt function: An efficient and sturdy spring tilt mechanism with tension adjustment will help you lean back safely and acquire a most comfortable seating position. You can also opt for a 2-to-1 synchrony tilt control that has an anti-kickback, four-position lock seat slider. Synchronized knee tilt feature: Some chairs provide this additional feature that allows reclining at a more relaxed angle, than what is offered by a standard tilt chair. Breathable mesh material: The bulkier you are, more you will sweat, especially if cramped in your office chair. So, go for a big office chair that has breathable mesh material at the back. This will allow the air to circulate, prevent sweating and keep you cool for longer periods. Reclining function: ‘Push back’ reclining will allow you to lean back or rock yourself. Base and wheels: A brushed metal base with three-inch double wheel casters is ideal to help the chair glide smoothly on all types of hard floors. Upholstery: Go for bonded leather upholstery, filled with deep layers of padding for ultimate comfort. 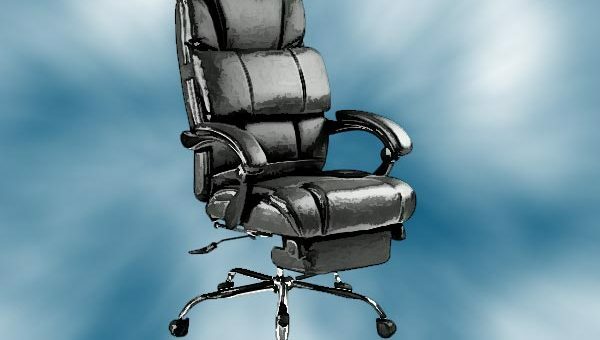 Easy setting up: If you are going in for a knocked down heavy-duty office chair, ensure it comes with systematic printed instructions with all necessary accessories and extras. Scuff-resistant foot-pads: These are made of metal, wood and plastic for better wear. Ensure your chair has them. Chrome base: Keeping the office aesthetics in mind, go in for a chrome base that imparts a stylish look to the chair. However, it should complement other office furniture. Cost: The cost of a large office chair, like that of standard office chairs, depends upon its quality, material and the number of functions it offers. You do not have to go in for the most expensive one, but for the one that is best suited for your body. 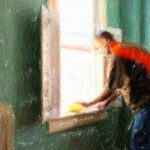 Warranty: Most companies give a one or two-year warranties, while some do not. 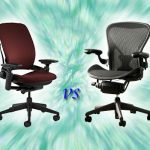 When it comes to shopping for heavy-duty office chairs, a little research goes a long way in finding the right fit. A comfortable office chair will not only save you from physical problems associated with prolonged sitting, but also increase your productivity.